Some of the best “Pics of 2017” at HaveFunBiking! 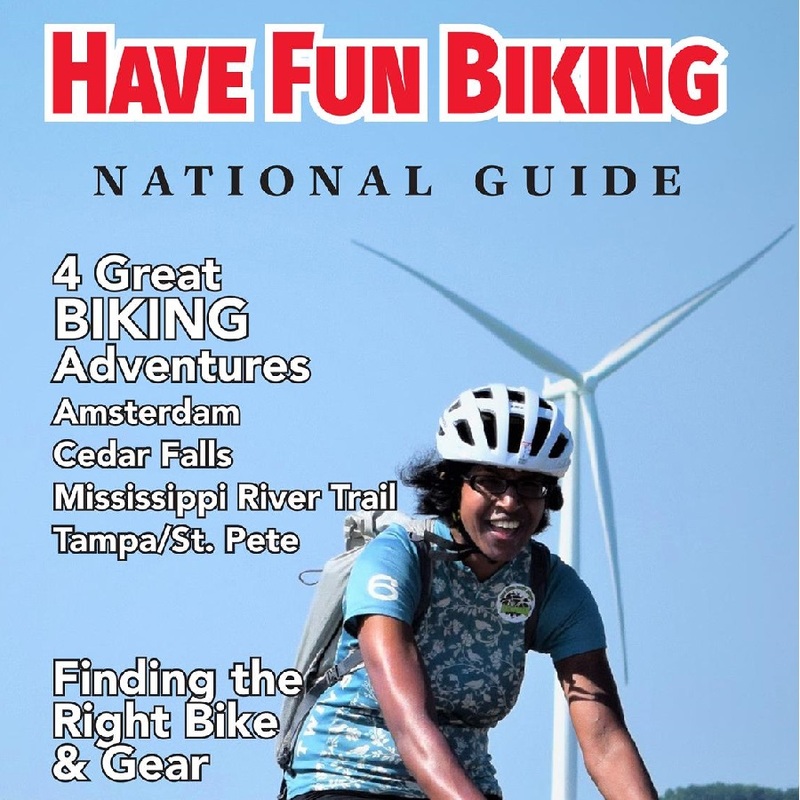 As we wait for the new year, page through some our posts here and in the HaveFunBiking Blog, on Facebook or Instagram. You will find plenty of fun pictures of cyclists enjoying 2017. 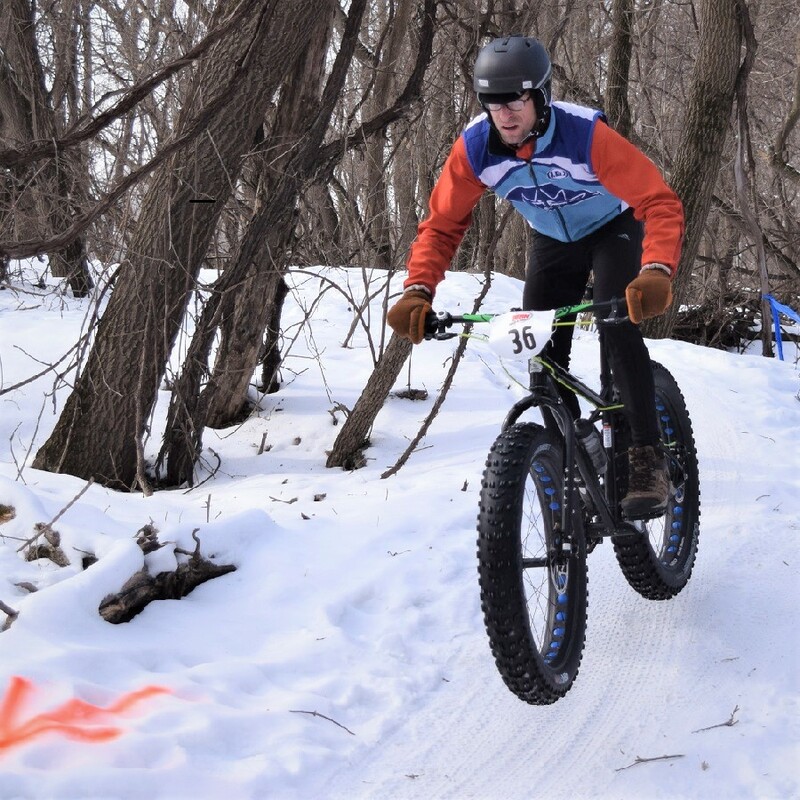 Fun is fat bike riding in the Minnesota River bottoms in Bloomington, MN, through the winter. 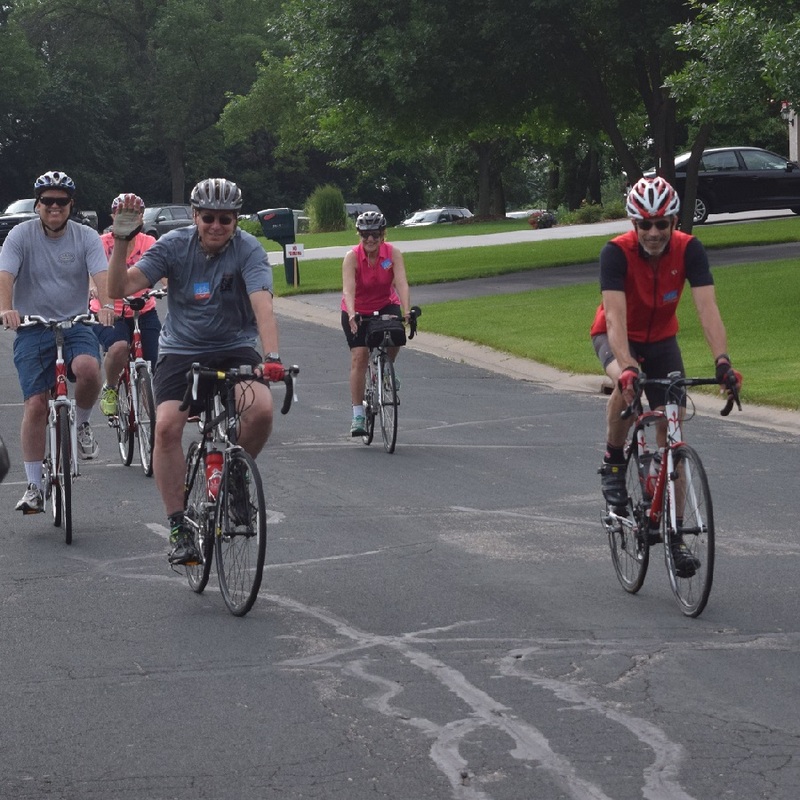 Fun Riding the Saint Paul Bicycle Classic. Considering a bike commute as part of your routine, it might add a bit of brilliance to your next story as you share some of your successes. 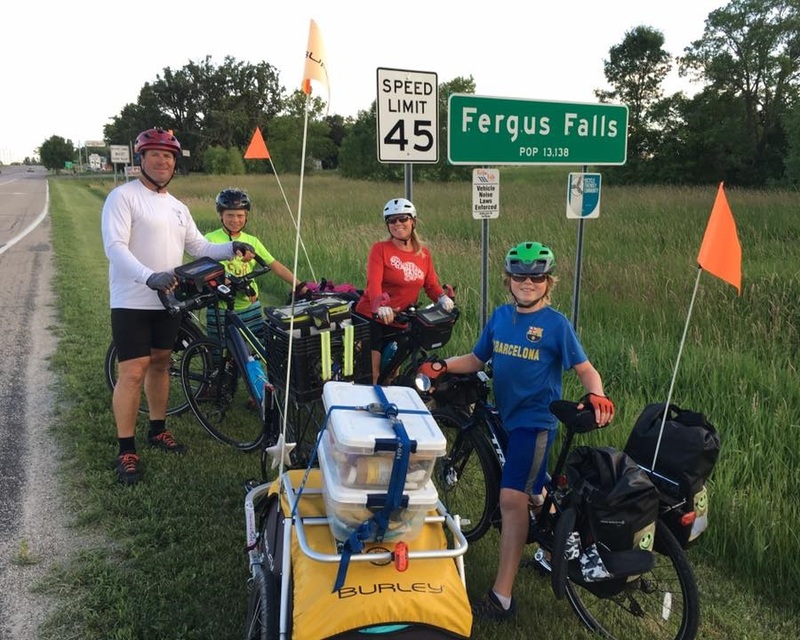 Family fun riding across the U.S.
Bike touring season is in full swing here in Minnesota and the Fergus Falls Bike Advocates arrange dinner, accommodations and warm welcome to the Ziemer Family this summer. 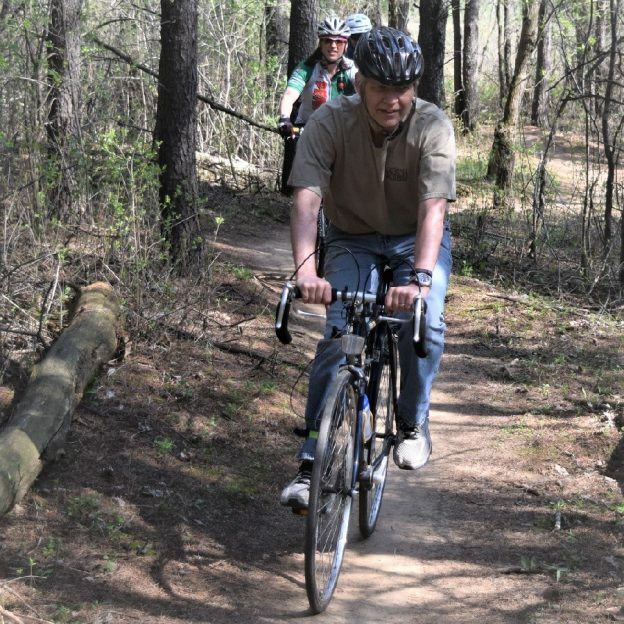 Lakeville Minnesota’s new mountain bike trail is a sweet ride! 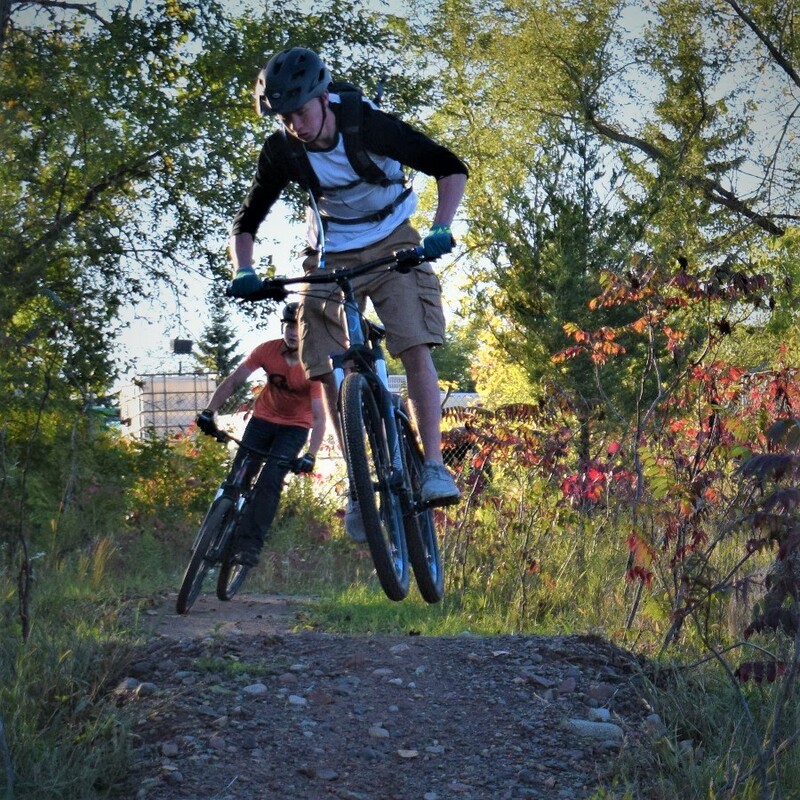 If life were a mountain bike trail and Wheelie Wednesday helped smooth out your day-to-day ride, have fun dropping into your sweet spot. Ice Cream smiles from AAA Auto Club staff. 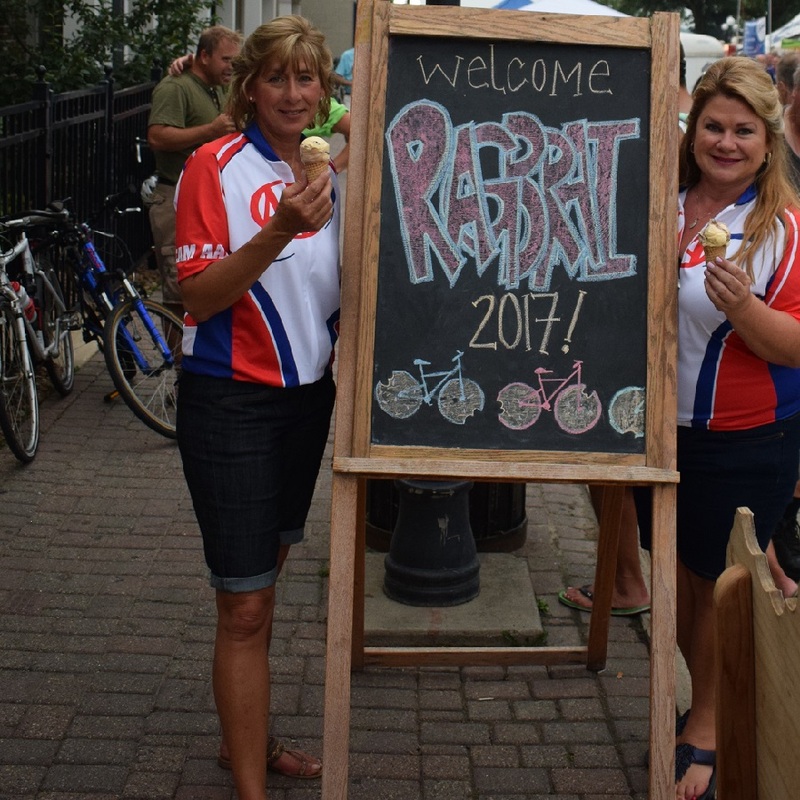 Its Ice Cream Smiles Sunday and here a couple AAA staff members tip a cone after spending the day introducing their new Roadside Service program for bikes, in Iowa. Most agree that home-made country fresh pie is one of the best delicacies on a bike trip. 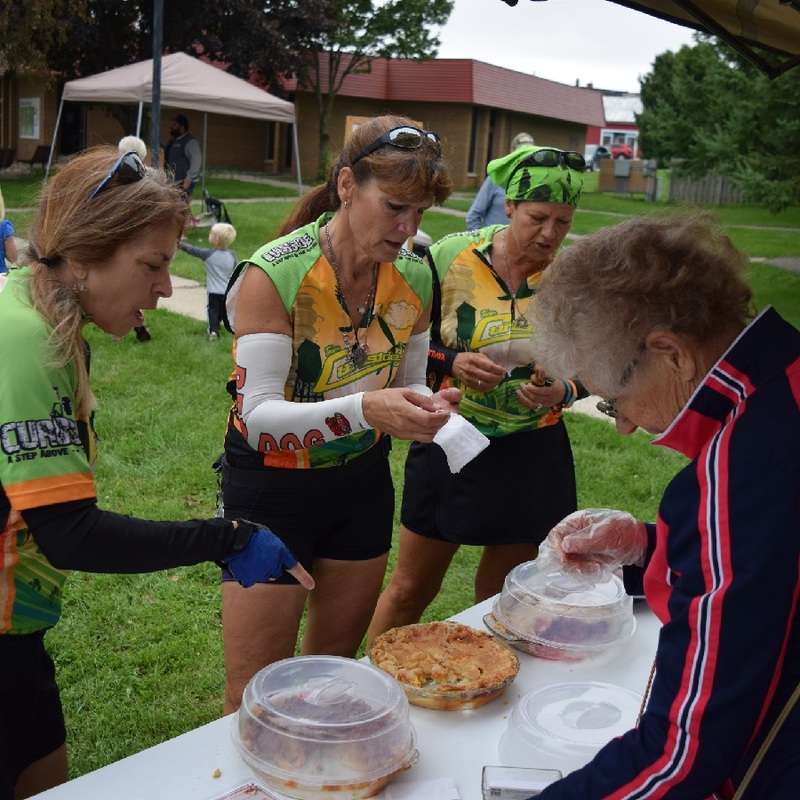 These lucky biker chicks found some desert samples at this table on a Root River Taste of the Trail ride. Winter fun is only a bunny hop away! 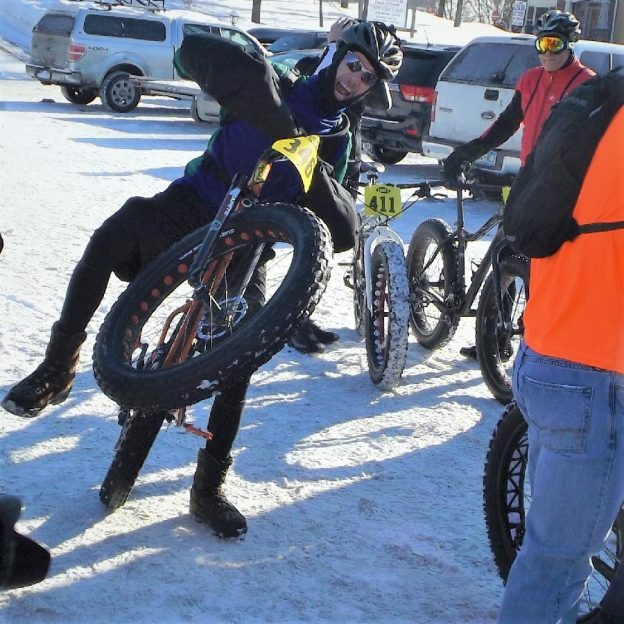 There are tons of exercises, drills and products to help you keep you shape through the winter months, but we think some fat bike fun is still the best! Sharing the road with another mode of transportation! 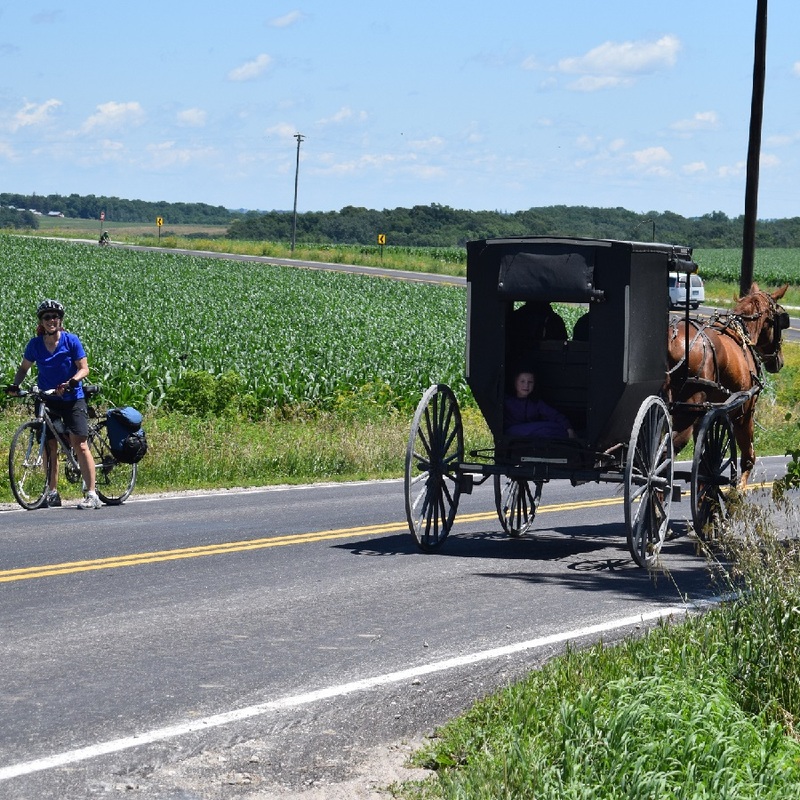 Fun biking in Southeast Minnesota’s Amish Country on the Root River Bluff & Valley Bike Tour. 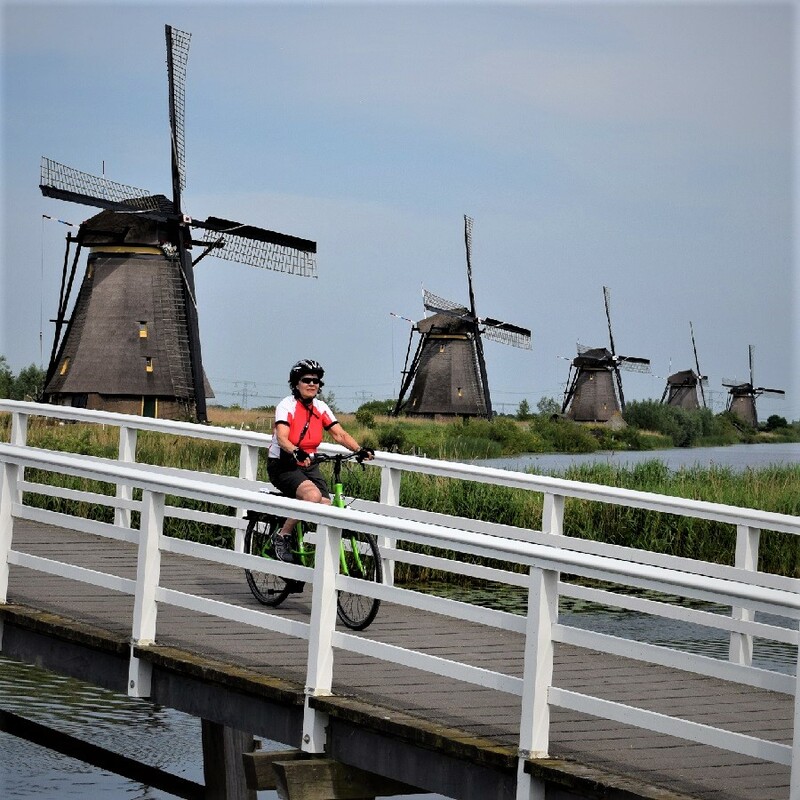 It is fun to take a European bike vacation to explore the Netherlands and the 100’s of bicycle routes that follow the picturesque canals and rivers there. Happy New Years, share your fun pics with us at poke@HaveFunBiking.com. 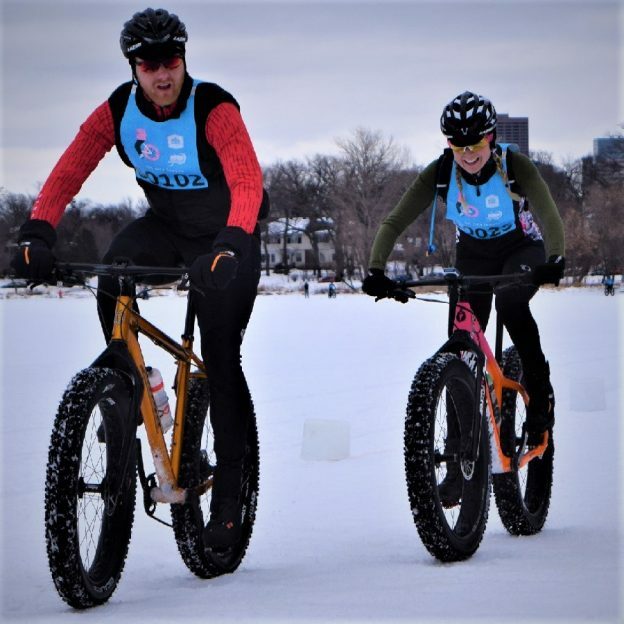 With below normal temps snow is sticking throughout the upper half of Minnesota making it perfect for some fat bike fun as this biker chick demonstrates. 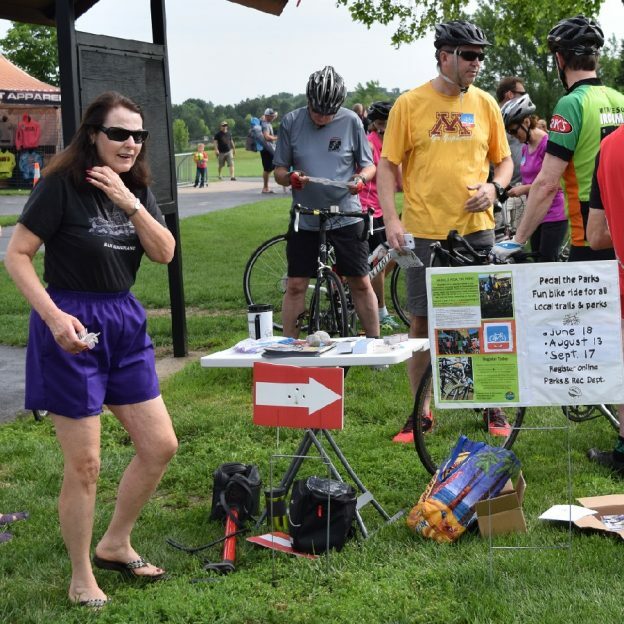 This entry was posted in News and tagged AAA motor club, best 2017 pictures, Bike commuting, bike guide, bike the netherlands, biking Amish country, Biking Lakeville MN, Bloomington MN, bunny hop, canal bike tours, Family Bike Ride, fat biking, Have Fun Biking, Ice cream smiles, minnesota river trails, Minnesota trails, Mountain Biking, Penn Cycle Fat Tire Loppet, pie trail, Ragbrai 2017, Root River Trail, wheelie wednesday, windmills on December 31, 2017 by Russ Lowthian. 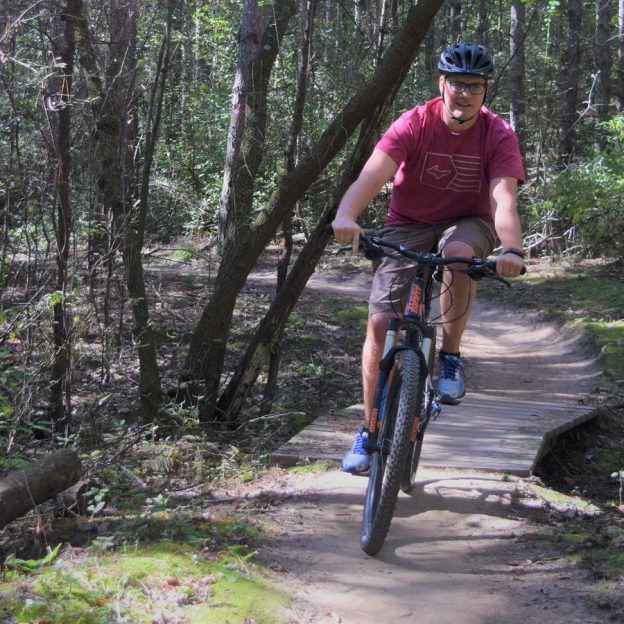 This funny mountain biker is showing off some of his best facial features. 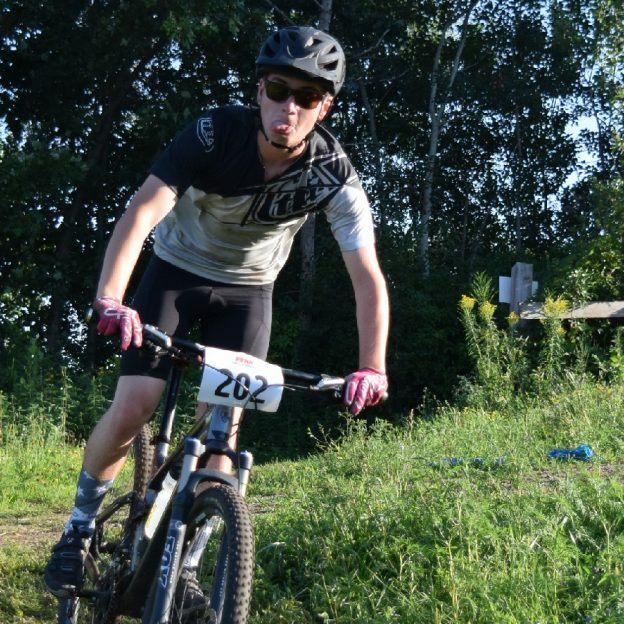 This photo was shot at Penn Cycle’s Thursday Night Races on Buck Hill, near Lakeville, MN. 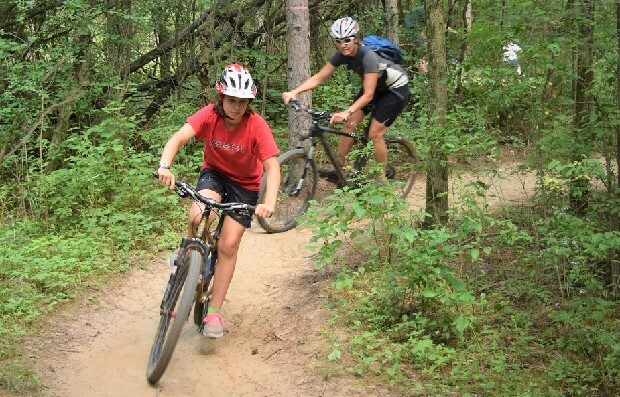 This entry was posted in News, Picture of the Day and tagged #nextbikeadventure, #visitLakeville #penncycle #onlyinmn, Biking Lakeville MN, Buck Hill, fun bike photos, funny mountain biker, Penn Cycle on August 27, 2016 by Russ Lowthian. 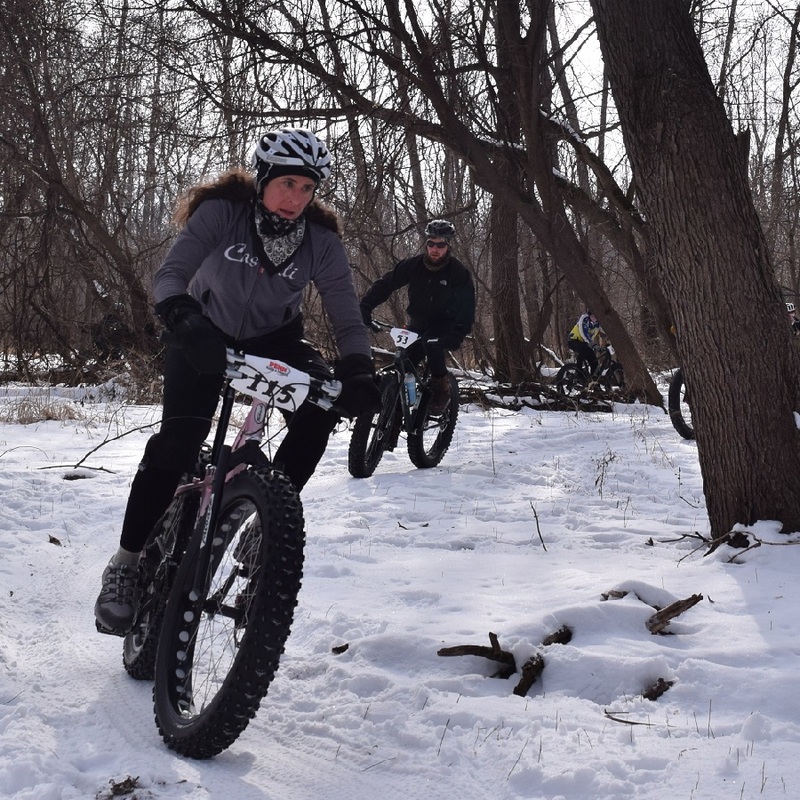 This photo shows a cyclist riding her fat bike while enjoying the wooded mountain bike trails near Lakeville, Minnesota. 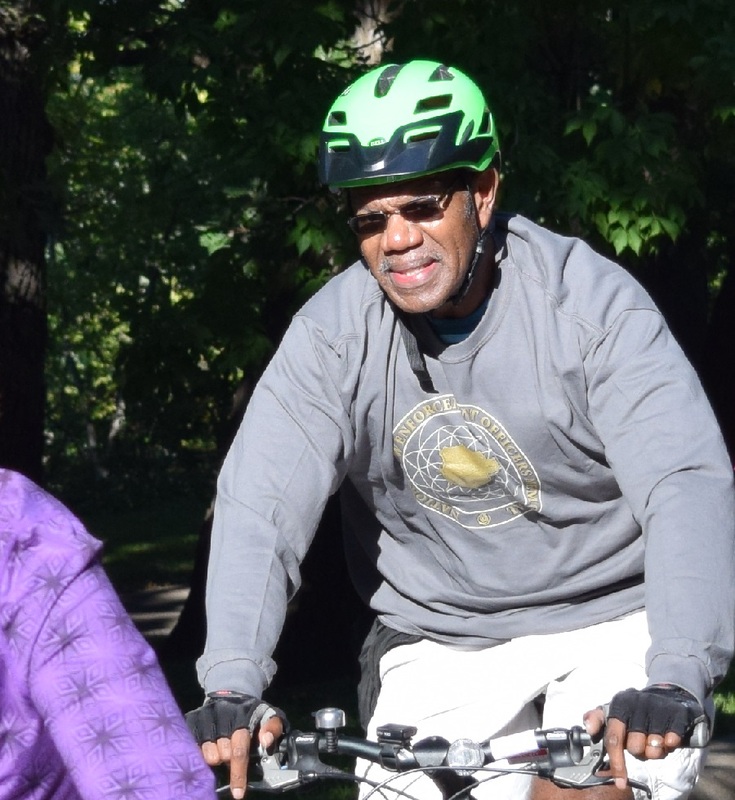 See more about visiting this area with your bike at HFB At-a-Glance Lakeville. 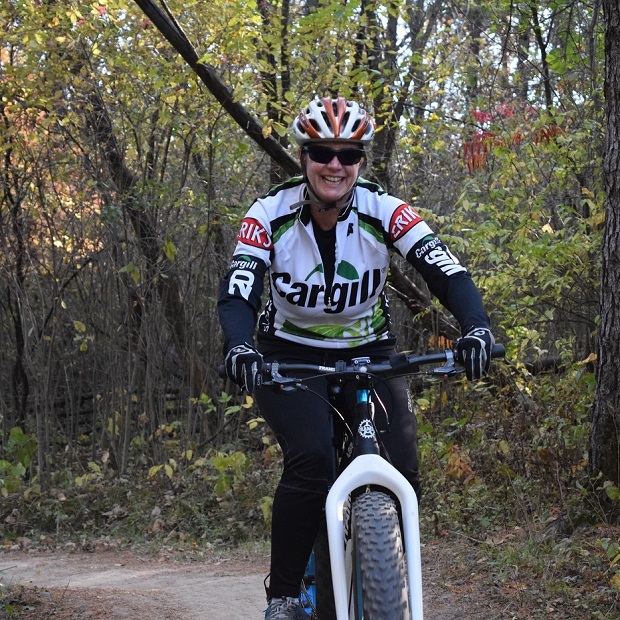 This entry was posted in News and tagged #FindYourNextAdventure, #onlyinMN, Biking Lakeville MN, Cargil bike club, Dakota Co. bike trails, MN trails on January 17, 2016 by Russ Lowthian.